by Group exhibition : exp. Here we have a veneer wall with a hole and the pieces of other artists. However, when you look into the hole, it turns into a mirror. In the “veneer” mirror on the veneer wall, all materials will be converted into an image. 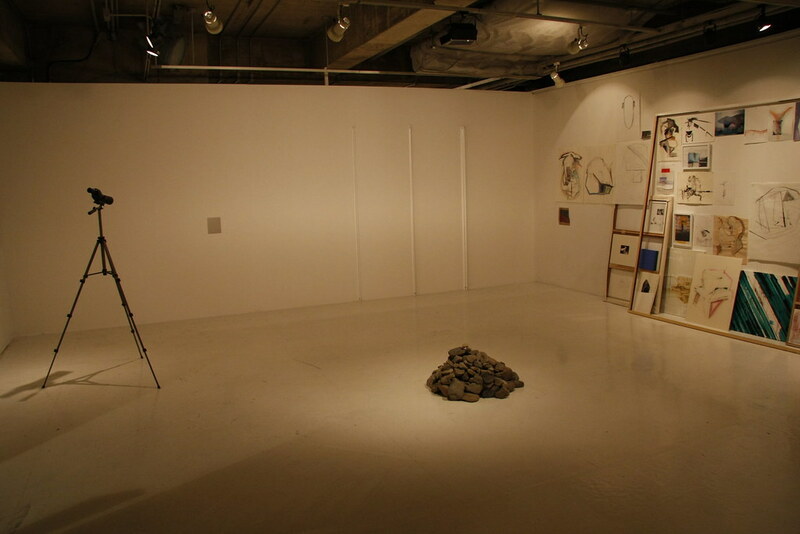 Working as an artist, I managed the whole planning of the display too in this exhibition. 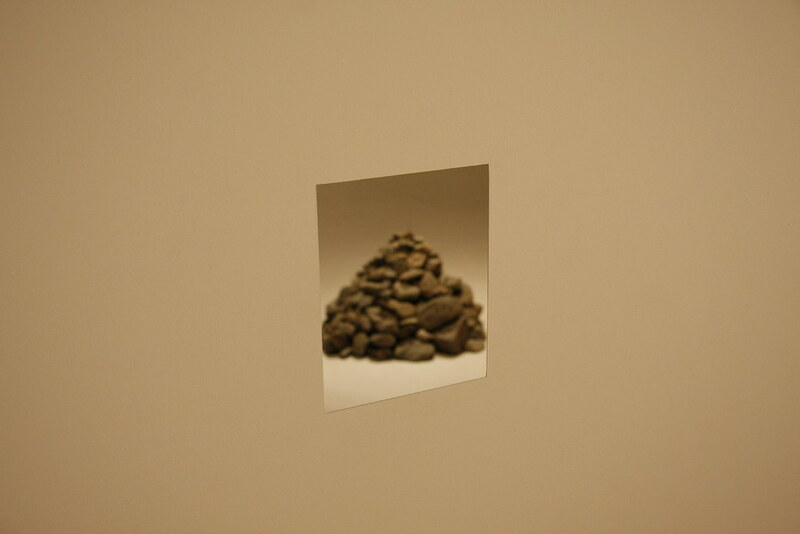 In the centre of the gallery, I built a wall where the tiny hole on it is the only way to the opposite side. 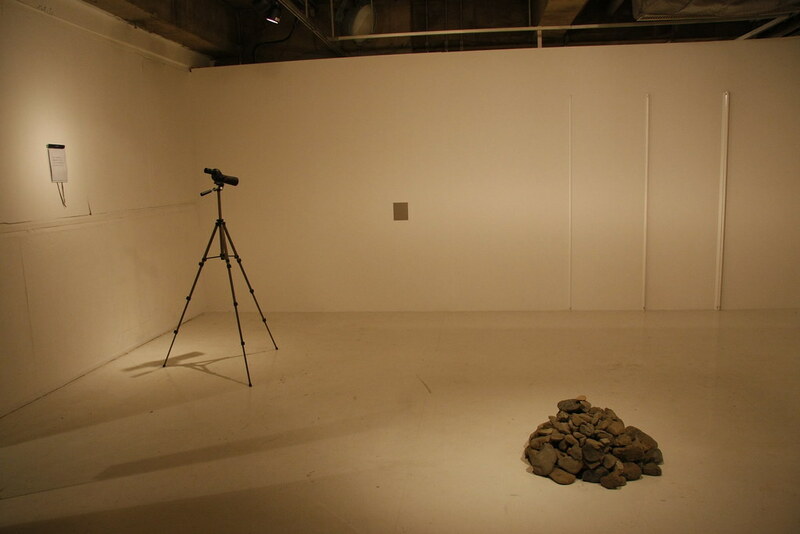 For other artists, I asked them to place their works symmetrical to the wall, so that the wall would function as a mirror. 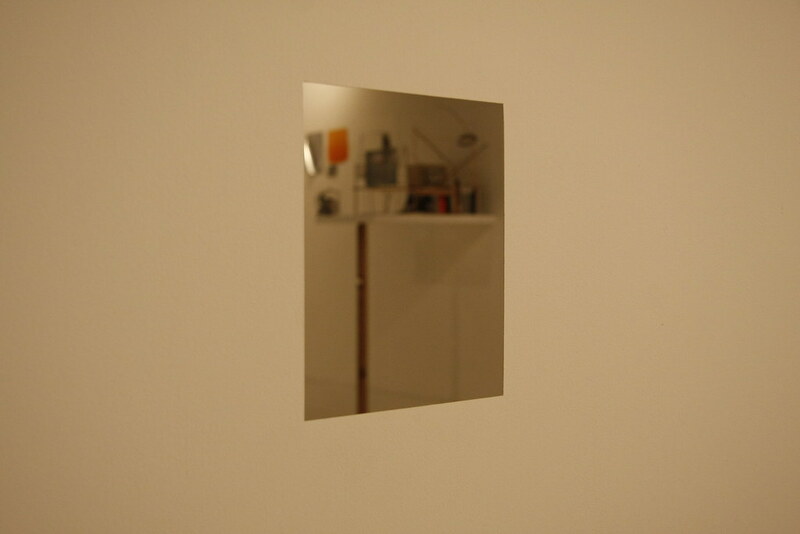 A person who looks into the hole would think as if it were a mirror, and see other artists' works at the same time. 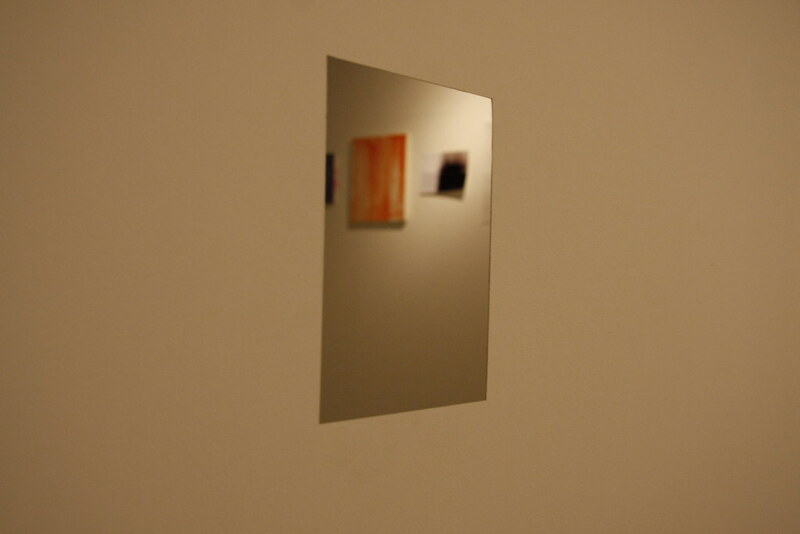 The “veneer mirror” would work as a device that re-image the image of the pieces. Interestingly, some people still believed that it is a mirror, even though they could not see themselves. What is mirror? What makes mirror a mirror?